Uma Ratnam Krishnan is the Chief Executive Officer of BSS India. 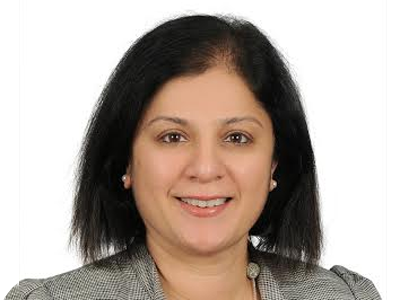 She joined Barclays in June 2015 as the Head of Finance, India. Uma has diverse experience having started life as a diplomat with the Indian Foreign Service. A degree in Business Management from IIM Bangalore followed and she started her career in financial services. Having spent most of her career in commercial roles for ANZ, HDFC Bank and more recently RBS in India and the UK, she also had a brief entrepreneurial stint as CEO of a Business Service start up for a financial services technology company. Uma has been part of senior leadership teams over many years in India and the UK and has worked across functions and geographies. She is a Six Sigma and LEAN champion and practioner with strong process and change experience.